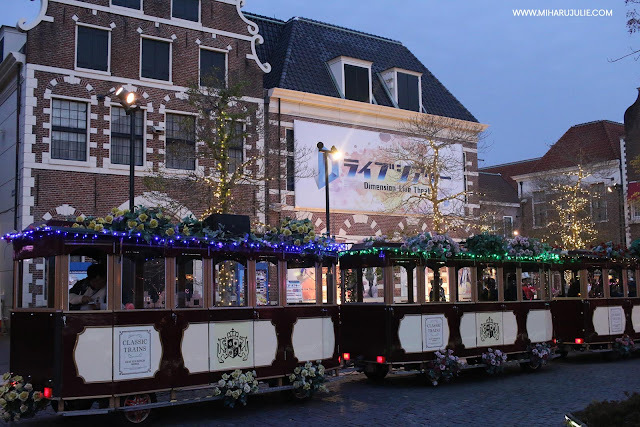 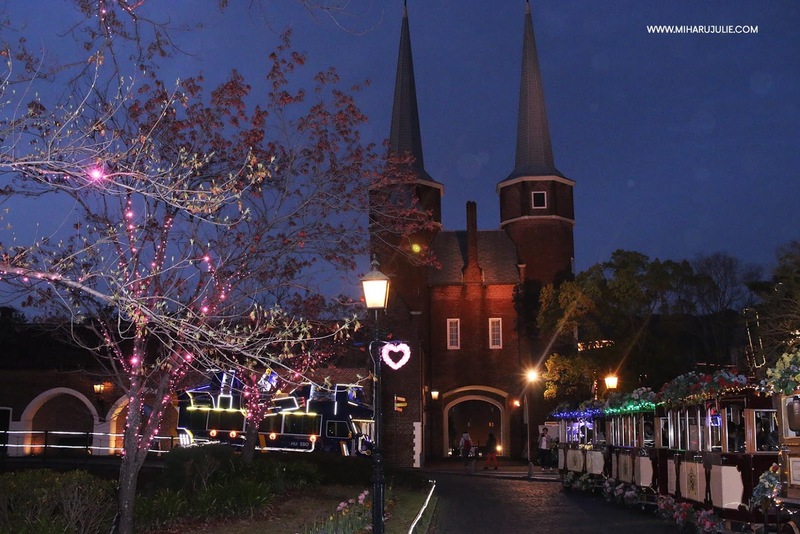 Hello.. As my promised to write Huis Ten Bosch Travel Guide part 2, this part is about Huis Ten Bosch illumination in the evening. 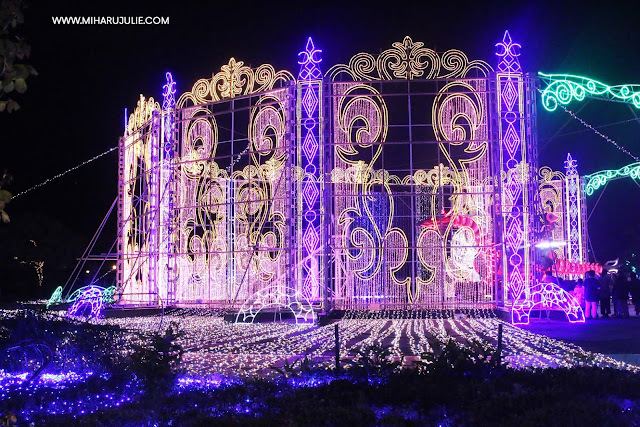 At around 6PM the park was transformed into a light and sound show like no other. 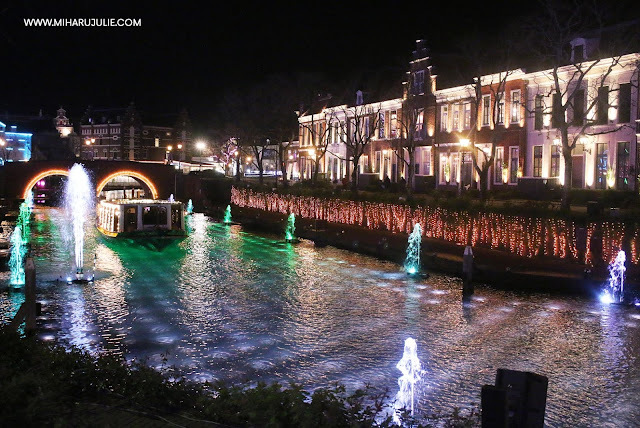 Many areas provided story like projection mapping and even the canals were turned into colorful photogenic reflections. 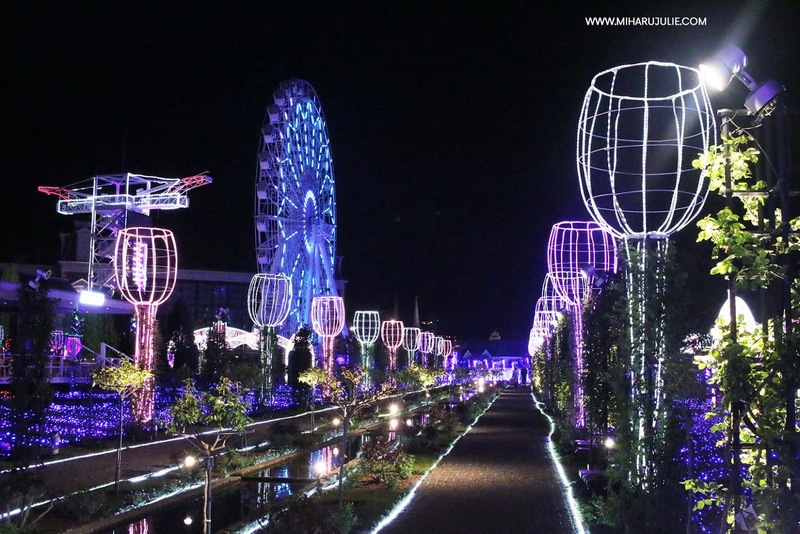 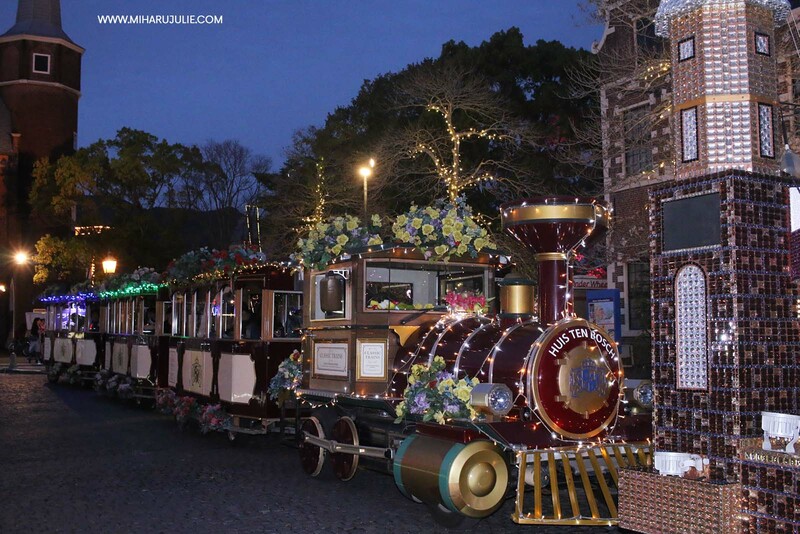 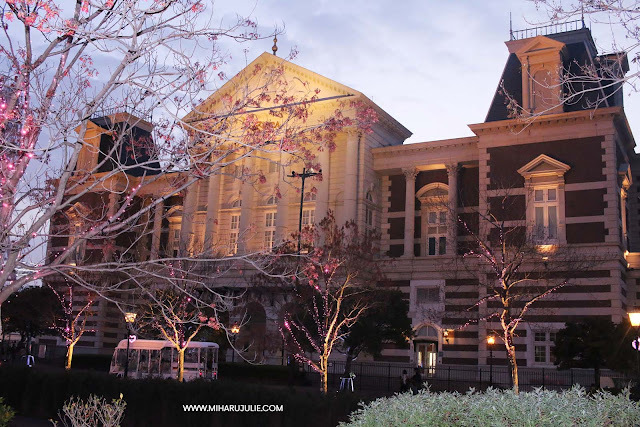 Huis Ten Bosch (ハウステンボス, House in the Wood) is a theme park in Nagasaki Prefecture which recreates a Dutch town. It is named after one of the residences of the Dutch Royal Family. The spacious resort is suffused with a European atmosphere with its picturesque canals, iconic windmills, beautiful gardens and architecture. Art Garden is the most popular spot in Huis Ten Bosch in the evening. 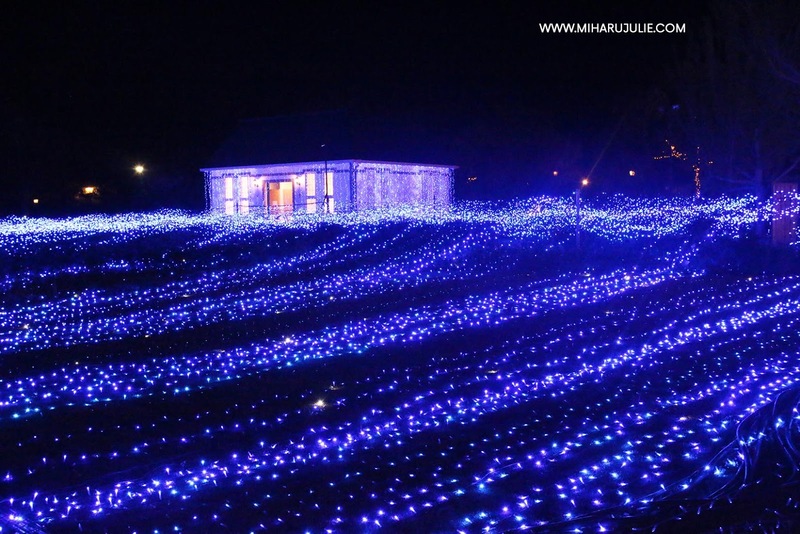 The views is so beautiful! The Art Garden of Light is a must-see, 6,000 meters squared of blue waves radiate simultaneously with music, the scale is magnificent. 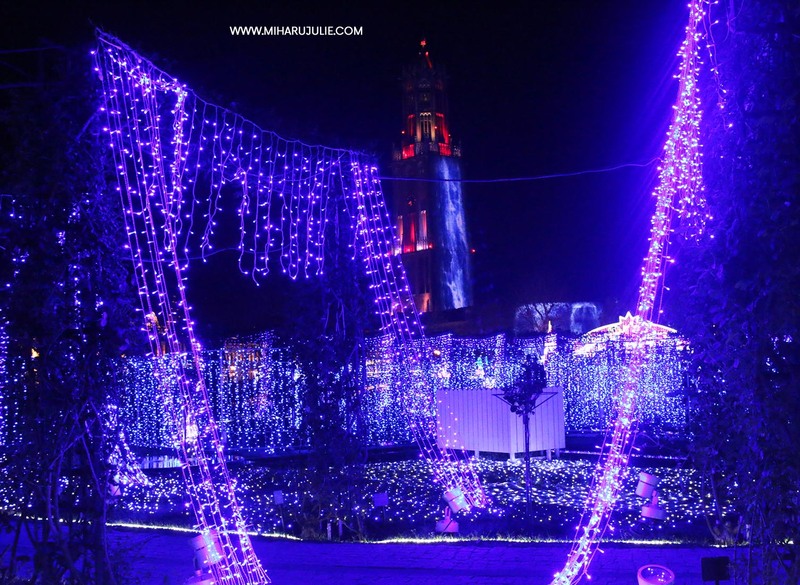 The gorgeous display of geometric light patterns, music and moving lights enchant visitors of all generations. 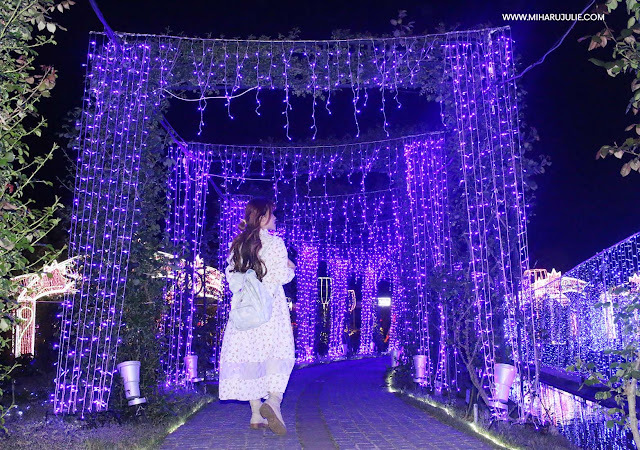 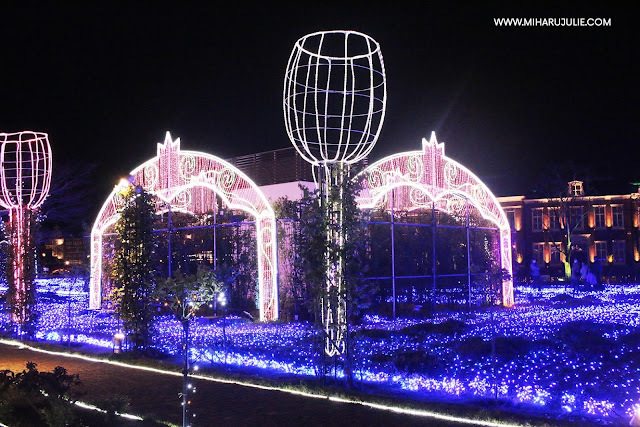 The Art Garden of Lights is at the center of the illuminations so you should have a chance to admire the fields of light spreading out beneath you and experience the spectacular collaboration of lights with music. 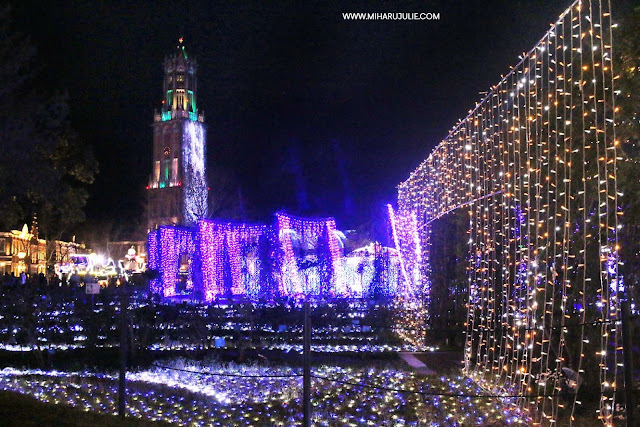 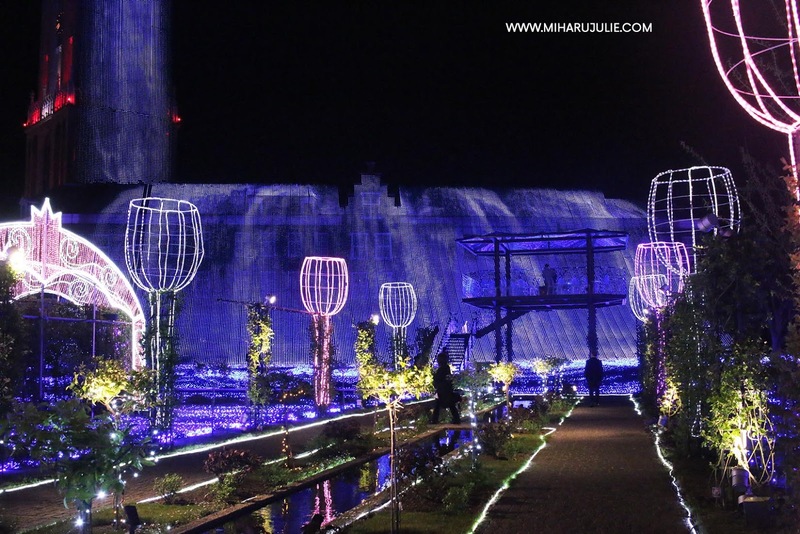 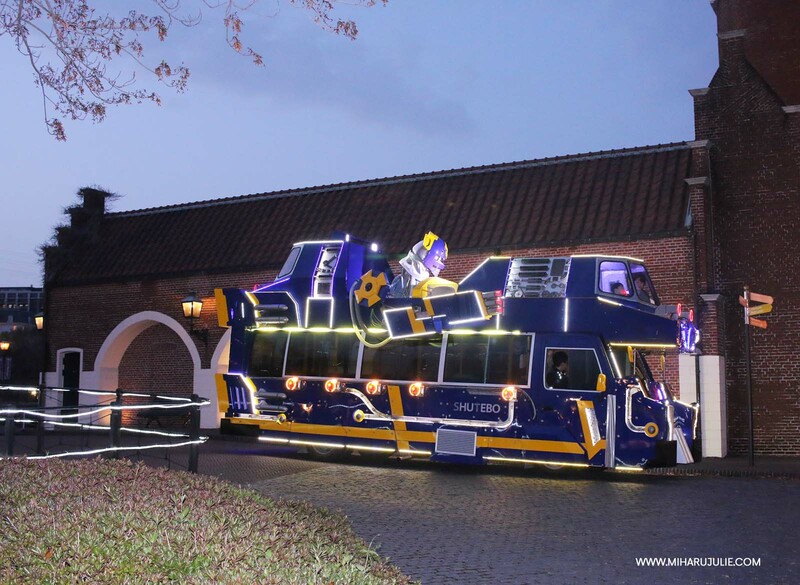 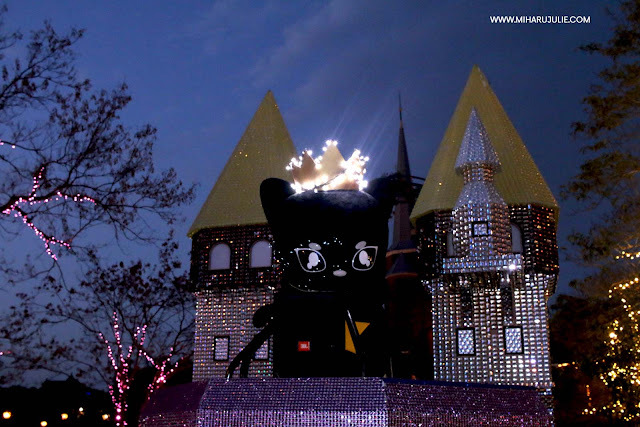 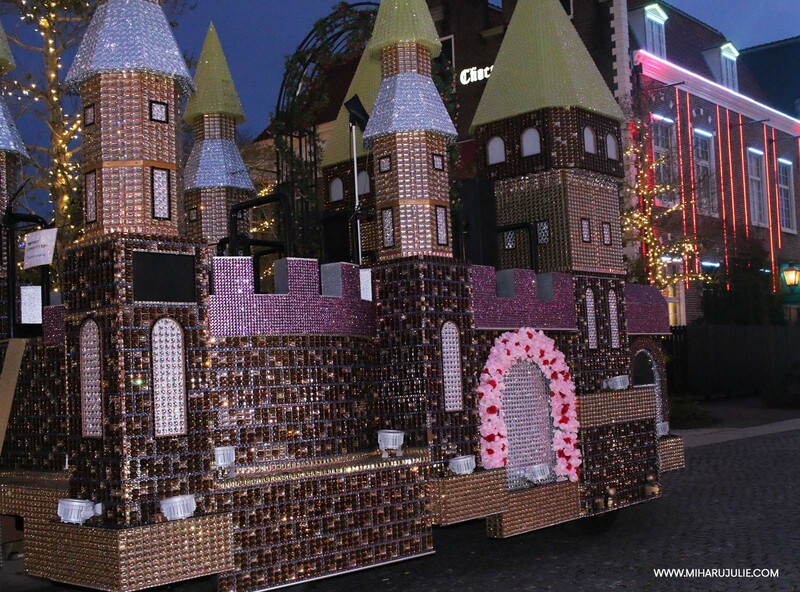 Under the symbolic tower of Huis Ten Bosch’s Flower & Light Kingdom, there is a tall LED waterfall which is one of the main attractions at this winter event. 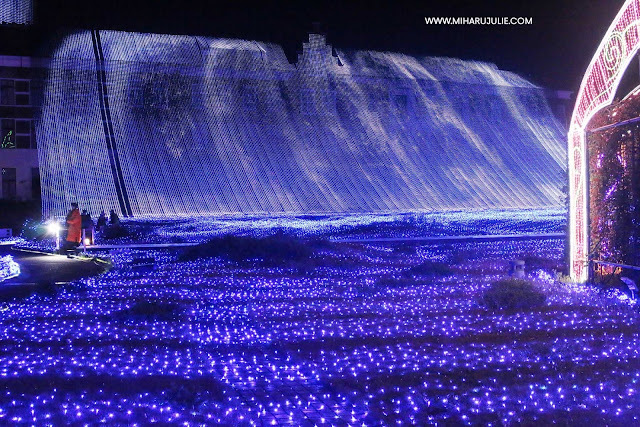 Millions of colorful lights flow down the Light Waterfall from the height of 66 meters making it the tallest illumination waterfall in Japan. When a boat passes through, the Light and Music Fountain show starts! 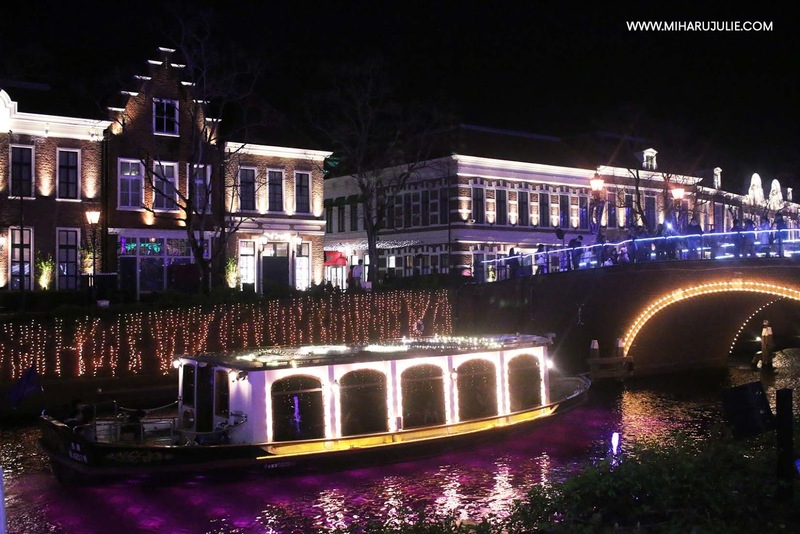 The Light and Fountain Canal Cruise takes you on a ride in the rainbow color illuminated canal with underwater illuminations and music timed water fountain shows. The Light and Fountain Canal Cruise is one of the most popular attractions, you can also enjoy the moving lights and fountain show from a bridge over the canal where you may find it nice to view the whole picture. 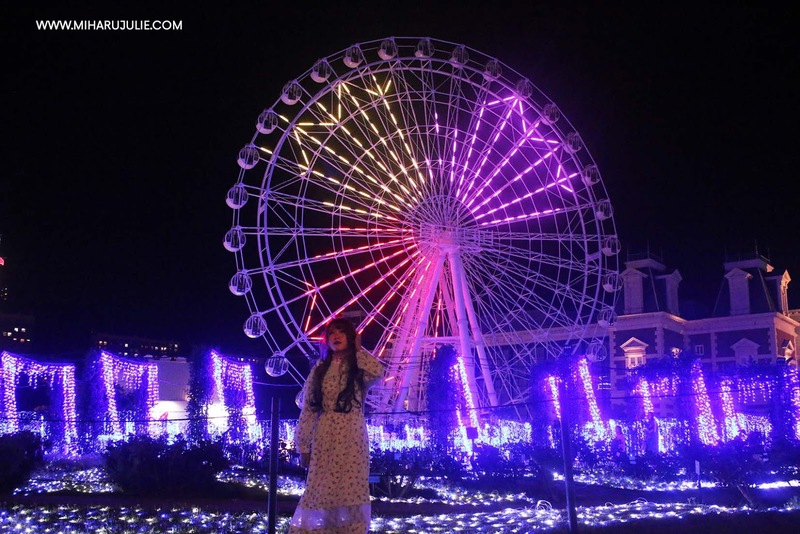 Paid attractions typically costs 300 to 1000 yen each. 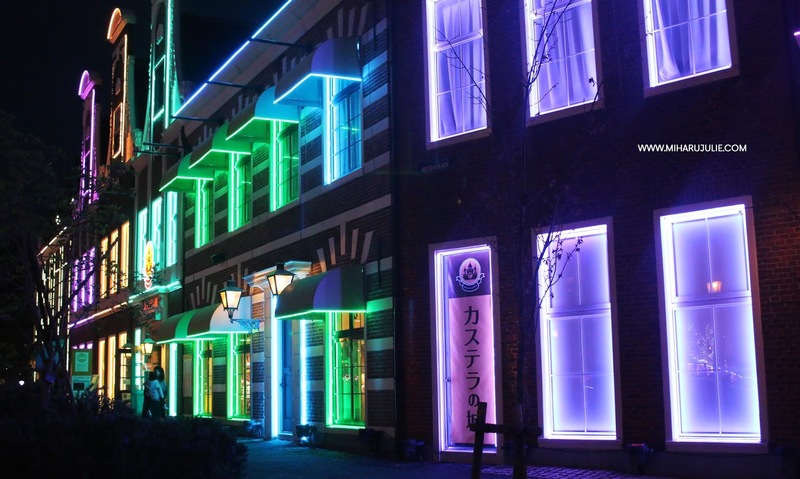 Varying hours, typically from 9:00 to 22:00; see the official website for details. 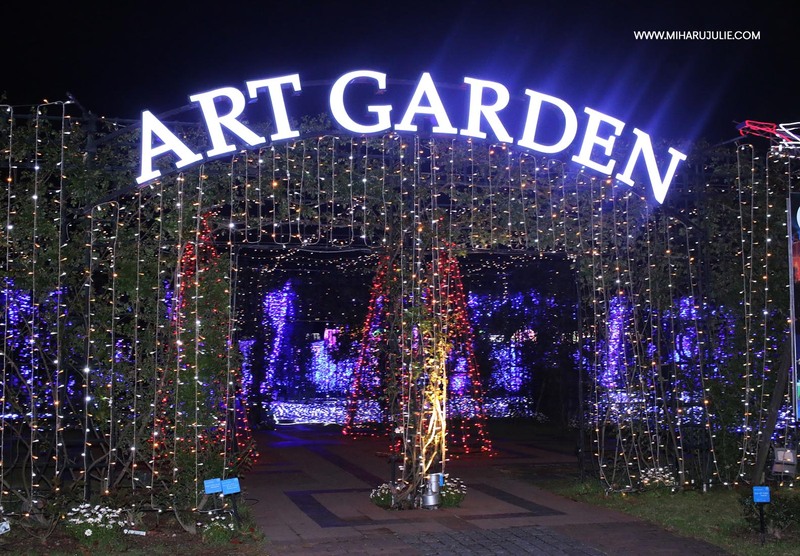 Admission ends one hour before closing time. 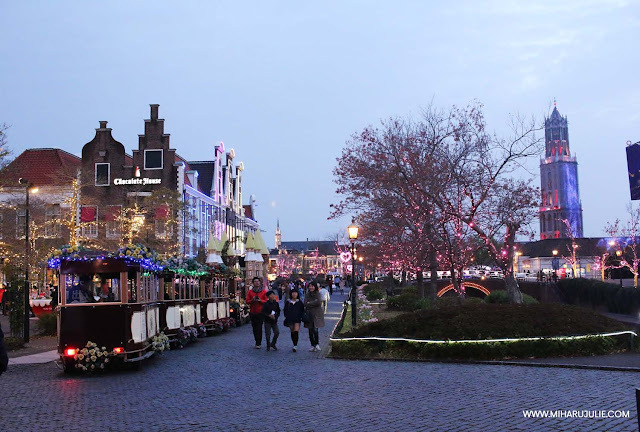 Actually there have so much beautiful spot such as : umbrella and balloon street, Amsterdam City and etc.. but the problem is I come here when the weather is so bad.. raining and strong wind.. I only wear a thin dress so I can't explore a lot of things and I didn't really enjoy my trip.. My tips before you decided come to Huis Ten Bosch is check the weather forecast first and stay from afternoon until night because the place is so big .. You need more time to explore all of them..
Huis Ten Bosch Station and Nagasaki Station are connected by the JR Seaside Liner (75 minutes, 1470 yen, hourly trains, fully covered by the Japan Rail Pass and Kyushu Rail Pass). How to get to Nagasaki. 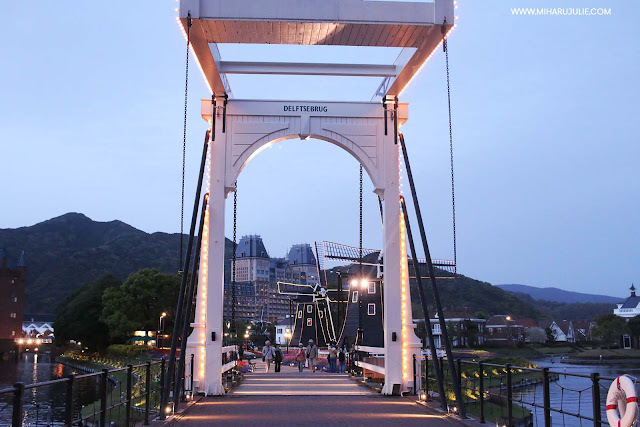 The most convenient way to get to the resort from Nagasaki Airport is via the high speed boat service (50 minutes, 1960 yen).